NTV drama series Kiss that Kills is currently airing, starring Kento Yamazaki, Mugi Kadowaki, and Mackenyu Arata. 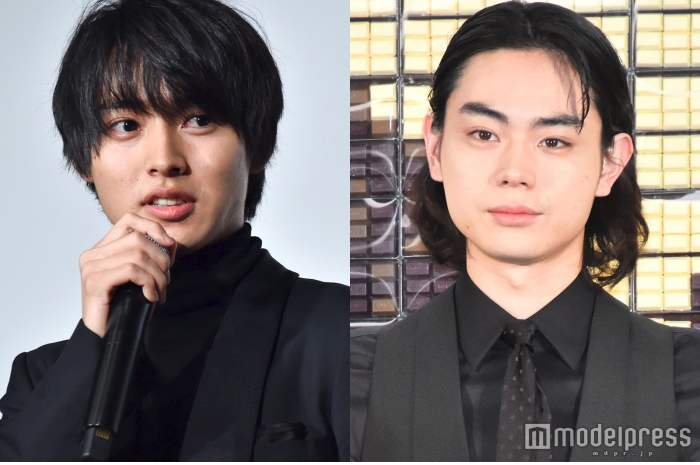 The latest episode in particular caught the attention of many fans, mainly due to a kiss scene between Yamazaki and his fellow ikemen actor Masaki Suda. In Kiss that Kills Yamazaki plays the lead role of Otaro Dojima, a popular host who is jaded regarding love believing it makes people unhappy. He only pursues money and power. One day a mysterious woman suddenly appears in front of Dojima, and kisses him. The kiss causes him to die, but he slowly begins to regain consciousness. When he wakes up he realizes he went back in time by a week. The mysterious woman continues to follow him, and Dojima hopes to break the cycle. In the newest episode Suda plays a struggling musician named Kazunori Harumi. To try and avoid any more spoilers, a theory is formed between the two that kissing might cause Dojima to go further back in time and perhaps find a solution to his issue. Harumi suddenly does an “octopus face” and pulls Dojima in for a kiss. At first Dojima is shocked, and a little disgusted, but he ends up returning the favor to Harumi. The two kisses result in an interesting outcome, find out for yourself below!